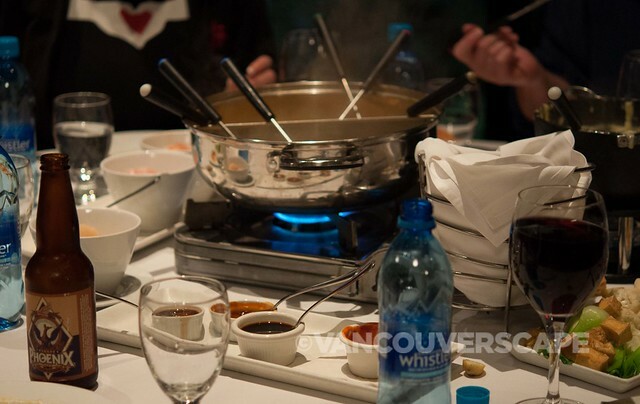 Dine Out Vancouver is in full swing and there’s no shortage of events to enjoy, whether you’re interested in trying a new restaurant or two, or wanting to jazz up your evening with a three-course dinner including live music by the Weeds/Minemoto Quartet and Chris Davis at Cory Weeds’ Cellar Jazz Club. 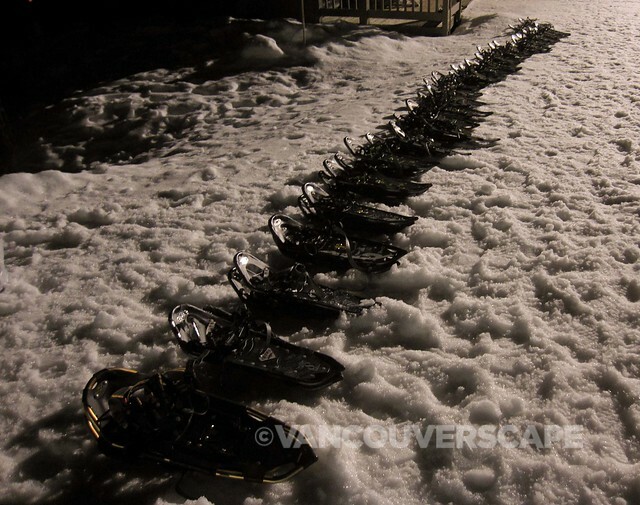 On Friday night, Grouse Mountain and the Dairy Farmers of Canada partnered with Dine Out to offer a snowshoe tour of the mountain and fondue dinner. 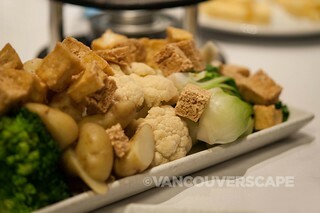 An inaugural event for the 12th annual food-lovers festival, the sold-out tour began at Grouse’s outdoor fire pit. 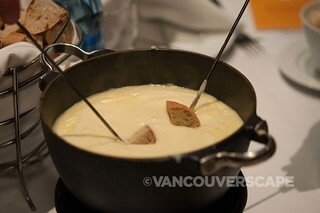 Close to 60 participants enjoyed a one-hour guided snowshoe tour followed by a champagne-led fondue feast. 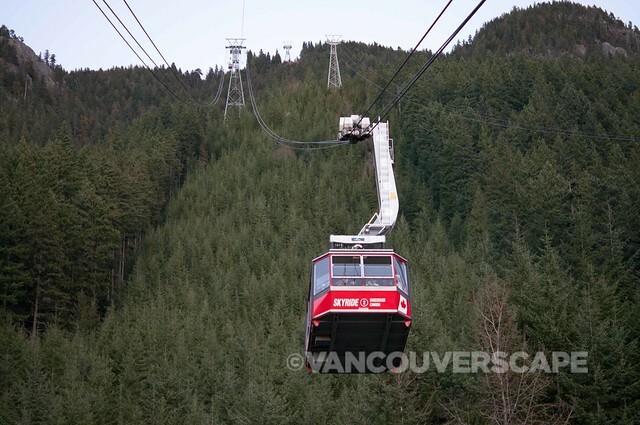 The ticket priced included the gondola lift to the top of the mountain, a one-hour guided snowshoe tour, snowshoe and headlamp rentals, and three-course fondue dinner with glass of champagne. A cash bar also offered beer and wine. 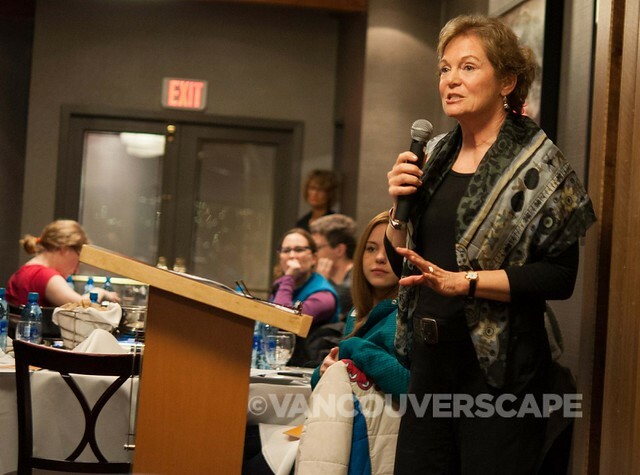 Dairy Farmers of Canada representative Paula Bradner introduced the cheeses for our fondue, held in the Timber Room next to Altitudes Bistro. We’d be dipping our bread and veggies into a combination of Little Qualicum Cheeseworks’ Gruyere-inspired Rathtrevor and Quebec-based Fromagerie L’Ancêtre’s organic Emmenthal Swiss. 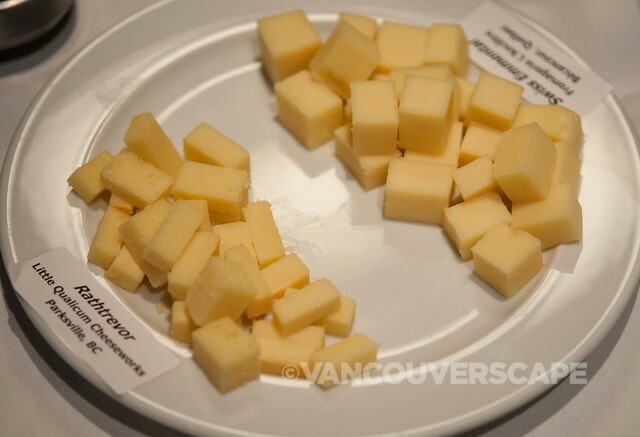 There was also a plate on each table of these two cheeses, to taste their respective qualities prior to being melted. The mix is an ideal flavour combination, with our Canadian cheese holding to the some of the world’s highest standards for quality control and utilizing 100% Canadian milk. This was an enjoyable end to the day, made even better with a city view and lively conversation. 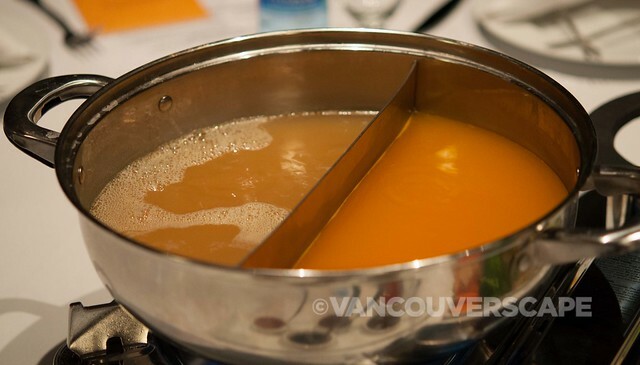 I’m hoping to see this event offered at next year’s Dine Out, with a tip to the organizers: more explanation as to what broth was meant for which type of meat/fish, as well as optimal times for keeping the food dunked in its particular broth. 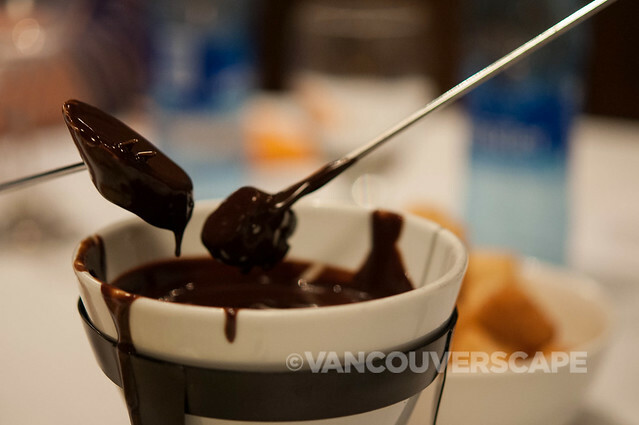 Visit the Dine Out Vancouver website for remaining events and restaurant menus. 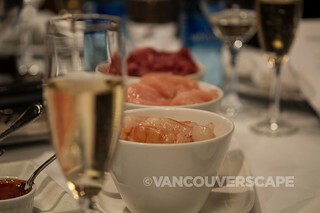 I participated as a guest of Tourism Vancouver for the purposes of experiencing the tour and of writing this article. Seems like you had a great time. Mountain tour followed be a hearty dinner cooked from local ingredients while learning about your food as well? Sign me up! Lovely pictures too! Thanks, Jay! Hopefully an event that will be repeated – great conversation above the city – and we had the inversion going too, so a warm day turned into a ‘balmy’ mountain night.